Shower Walls: Grifform® Shower Walls are made of DuPont™ Corian® in any of the over 100 colors. This is an exceptionally good choice of material for wet environments. The ease of cleaning with an abrasive cleanser and pad clean off body oils, soap films and even calcium build up without any worry of damage. In fact, such types of cleaning renew the finish forever. Grifform® Shower Walls are custom made and can be constructed without on-site seams when requested. Many trims and accessories are also available all made of the same materials for a monolithic application. Seats, caddies, shelves and grab bars are all standard products be listed under Shower Accessories. Custom Shower Walls are available upon request. Please submit a request by using our contact form. Q: Does your listed price include shipping? A: No, shipping costs are determined by the destination, weight and zip code. 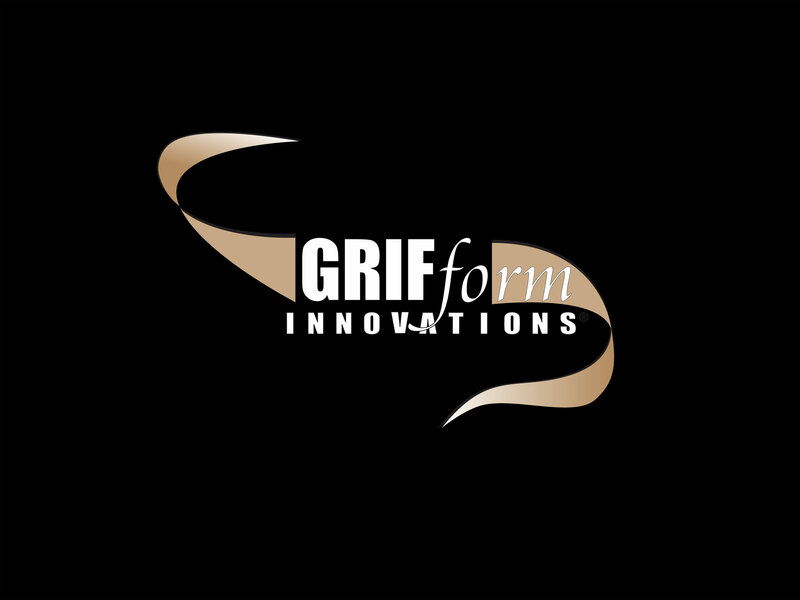 Grifform ® will provide you with an estimated cost for the product you are requesting and the transporters approximate shipping time. Select A Size 36" x 36" x 72" 38" x 38" x 72" 36" x 36" x 72" 38" x 38" x 72" 48" x 36" x 72" 60" x 36" x 72" 60" x 32" x 72" Left Drain 60" x 32" x 72" Right Drain	60" x 34" x 72" Left Drain 60" x 34" x 72" Right Drain	 60" x 32" x 60" 60" x 34" x 60"
Prices provided are estimated MSRP. Prices and availability are subject to change at any time without notice. This silicone is an adhesive which provided a flexible joint with excellent moist resistance. This material has a slow setting time which allows for adjustments upon application. Overnight drying is required for full strength to be achieved. Hot glue can be applied in conjunction for a temporary clamping substitute to expedite progress. Colored Silicone is provided for sealing where the walls meet each other and the pan. These seams are both concealed behind trims and/or at joints. These are called soft seams; they are flexible, allowing expansion and contraction which is necessary. This colored silicone is also used around the parameter of walls and trims as sealant to create a smooth and soft coved joint for easy cleaning and added water proofing. Pre-Tooling Mist for Silicone.... Before tooling, spray Mist onto Poly-Sil bead and Perfect Bead tool to help smooth bead during tooling. Mist also helps to keep excess silicone from adhering to areas where silicone is not wanted. Color Sil is a high modulus multipurpose 100% RTV Silicone Sealant. Formulated to perform a wide variety of applications. Color Sil has excellent adhesion to nonporous surfaces. Color Sil is available in 10.3 oz cartridges (avg. coverage 100’)Contact us for color match requirement. Poly-Sil is a 100% silicone caulk-sealant with suspended colored particulates. Specifically formulated for the requirements of today''s professional fabricator/installer in the solid surface and stone industries. POLY-SIL utilizes a broad color spectrum of colored particulates to achieve color coordination with the granite-like patterns of all solid surface manufacturers. Contact us for color match requirement. DYNAGRIP® ALL PURPOSE construction adhesive is a premium grade adhesive ideal for paneling, interior remodeling, and other interior projects. DYNAGRIP® ALL PURPOSE delivers a strong, permanent bond and excellent adhesion on common building materials. Phone: 541-496-0313 | Copyright © 2017 GRIFform Innovations, Inc. | All Rights Reserved.